Unless you’ve been living under a rock (ruck? ), you’ve heard about the benefits of supplementation. The best athletes take supplements. Protein after workouts is king. And you’re likely already supplementing, whether it’s through a multivitamin, electrolytes, or an occasional protein bar. But does a rugby player have different needs than your average person? Absolutely. As such, you’ve come to the right place in searching for a guide to supplementing for rugby. Rugby is unique because it requires complete athleticism. We have to be fast, but also run for 80 minutes. We have to be strong, but quick enough to step defenses. We have to be big and powerful, but skilled enough to throw a 15 meter pass in the face of the defense. Only training hard, day in and day out, and following a well-planned diet will build the adaptations necessary to succeed in rugby. That’s the truth. However, what supplements can do is fuel your workouts to impact the efficiency of training. Utimately, while building your ideal physique in the gym, what you eat around your training sessions can make or break your size and strength. For this reason, we’ll take you around the main factors when it comes to diet. Drinking protein after your workout gives you the best chance at recovery and stimulating muscle protein synthesis. The post-workout window has largely been debunked for mass gain, but it can still help recovery. And the faster you recover, the better you can perform the following day. After intense sessions, however, rugby player definitely need carbs to refill glycogen stores. A ratio of 3:1 carbohydrate to protein refuels the best rugby players after high intensity training. Shoot for a clean whey protein isolate mixed with natural carbs, like fruit juice or a pre-mixed sports drink. Exercise follows a pretty strict energy flow. It’s like the order of operations - you have to get through one guy to get to the next. Rugby mostly lies in the anaerobic and aerobic realm with running, repeated tackling, and general game play. However, the start of the relay is something known as creatine phosphate. This compound fuels output from about 0-6 seconds. Basically, if you need to move all of a sudden, CP is your go-to. Lots of training falls in to this category - 40 m sprints, launching off the line for a bone-crushing tackle, efficient scrummaging, and a 1RM squat or power clean. So it’s safe to say creatine supplementation has some positive implications. The more creatine you have in your system, the more output you can produce. Better output equals stronger lifts, more dominant tackles, and faster speed. Great pre-workouts for strength or power sessions contain creatine and a mix of essential amino acids to get the job done. We recommend Performance Lab’s Sport Pre; it isn’t packed full of caffeine like others (so won’t cause jittery side effects or interrupt your sleep) and contains scientifically proven nutrients to help improve your workout/rugby performance. Branched-chain amino acids, also known as BCAAs, make up most of your free amino acid pool. As such, they are readily available to replenish energy and restore glucose levels during workouts. By adding BCAAs, you increase your strength capacity through more energy output. Furthermore, they promote muscle recovery by simulating anabolic processes. BCAA’s replenish energy by restoring glucose levels and managing blood sugar. The three BCAAs, leucine, isoleucine, and valine, comprise around 40% of your amino acid requirement. During exercise, they enhance your strength capacity, and afterwards they promote muscular recovery. Rugby players are primarily anaerobic athletes. We sprint, tackle, gain possession and sidestep with a small element of recovery in between. See above for the importance of carbs. As mentioned before, they’re the primary source of energy for aerobic and anaerobic metabolism. Hit those first. Take your carb and water intake seriously to improve anaerobic endurance, as mild dehydration can decrease your ability to play by up to 10%. During training and match day, byproducts of anaerobic metabolism build up and cause fatigue. Although our body has a way of clearing these, sometimes we can’t do it fast enough. For a pre-workout, amino acids such as citrulline, carnosine, and glutamine can influence the amount of ammonia byproduct sitting in the muscle from energy production. Citrulline, carnosine, glutamine, and more increase blood levels of bicarbonate, a compound that neutralizes acidic waste. That way, you can sprint, tackle, and ruck at a higher intensity for longer. A great post-workout supplement refuels depleted carb stores and counteracts the effects of dehydration. Assuming you’re training again the next day (or multiple times in a day), you’ll have more energy and resources to go just as hard. 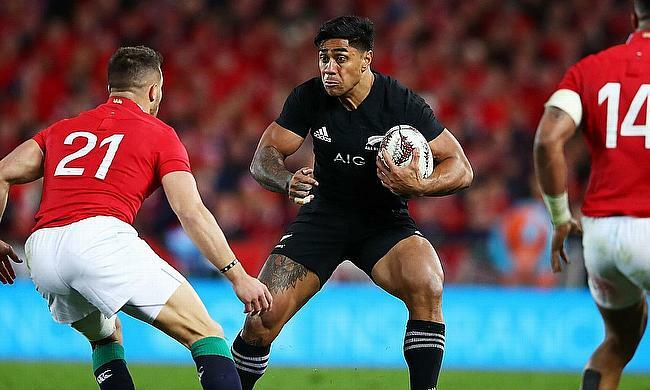 Rugby players should focus on supplements with antioxidants to counteract inflammation, refilling glycogen stores (again), and above all - sleep quality. Sleep is magical and hands-down the best way to recover. As a fruit juice, tart cherry juice is full of good sugars that get stored directly in to muscle for recovery. Tart cherries are also full of antioxidants, which means they negate inflammation caused by acute stress and exercise. But the real selling point is the natural melatonin content. Melatonin works in the body to maintain healthy circadian rhythms. As night falls, melatonin starts to build up and signal sleep onset, making you tired. In the morning, melatonin content subsides and you start to wake up. With all of the issues affecting sleep, from cell phones and screens to stress and anxiety, taking melatonin is a game-changer for sleep quality. You can either it through tart cherry concentrate or purchase it as a stand-alone supplement. Critical recovery occurs during deep sleep, such as enhanced immune function, anabolic rebuilding of muscle and tissue, and consolidating memory. Take your sleep seriously and it’ll show up in the way you play. Performance Lab’s natural Sleep supplement is being endorsed by leading MD’s in the field. It contains a stacked formula that’s shown to help deliver deeper sleep to help you stay fresh, without any feeling of drowsiness the following morning. The best way to heal from injury is to avoid it in the first place. Unfortunately, that’s not always possible in rugby or life. Making sure you’re in top physical condition, however, can go a long way in making sure you come out clean from a collision. Supplements, such as the above, clearly help with the physical aspect. But they can also help you mentally as well. When fatigue sets in, we start making bad decisions on the field. A wrong step or high tackle arising from poor decision-making means injury. Combat that fatigue by keeping your mind in the best shape possible. Performance Lab Mind offers a clean, safe for sport supplement designed specifically to enhance your reaction time, thought processes, and neuron health. When rehabbing an injury, eating enough to fuel restructuring of tissue is key. Additions to your supplement routine during injury can get you back to the pitch quicker by targeting specific healing processes. Try these supplements for returning to play. Collagen - what your connective tissue is made of. Supplementing it can help rebuild ligaments, tendons, and joint health. Finally, there are just some supplements you should take on a regular basis. Athletes are constantly pushing the limits and need regular maintenance more than most. Along with a high-quality diet, practice good nutritional hygiene with a multivitamin and fish oil. It’s hard to eat enough fruits and veggies as it is. Even those with the best diet can be missing critical nutrients, as modern food is losing its nutritional density. We all can benefit from a little extra boost. Live in a place with little sun? Taking vitamin D can help counteract that for bone health and immune function. Struggle with eating enough red meat? Iron in multivitamins comes to the rescue to assist oxygen in our blood stream. A good multivitamin casts a wide net to ensure we’re getting these micronutrients to run like a well-oiled machine. You’ve probably heard about the benefits of “good fats” for heart health and counteracting diabetes. But did you know fish oils are also integral parts of a rugby player’s diet? While, yes, you could just eat tons of fish, taking a daily fish oil is cheaper and easier than shelling out coin for salmon and swordfish. Fish oil supplements offer encapsulated omega-3 fats that go straight to benefiting your health. The omega-3 fats in these oils form the lipid bilayers of cells, which keep bad stuff out and good things in. They also counteract exercise-induced inflammation, which we’ve spoken about for recovery. During high training seasons or injury, more omega-3s will help you feel less like you got hit by a train. Competing at the top level of rugby means treating your body like the weapon it should be. You have to put time and attention in to what goes in in order to get positive results. Begin with a diet full of nutrient-dense foods, fiber, good fats, and complete proteins, but top it all off with the above supplements for success.